I was looking through Chiyo915's PomPom All Stars and I saw a cute little panda bear. 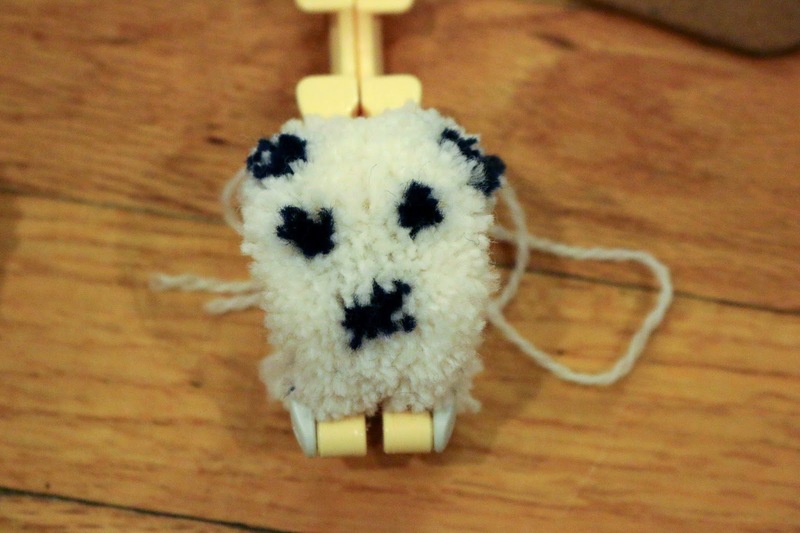 What is crazy is that the ears of this panda are longer than the rest of the pompom. I wanted to try to recreate this myself, which would be a bit of a challenge since there was no diagram. Let's see if I can make my own type of diagram. I was successful with the pompom watermelon, after all. How hard could this be? I sketched something out, and well, I'll give it a shot. I wrapped around 9-12 wraps for each color section. So there is definitely a face here, but I don't think that the density of the fibers is enough to create the image that I wanted to make. Maybe I should have also started the nose lower on the face. 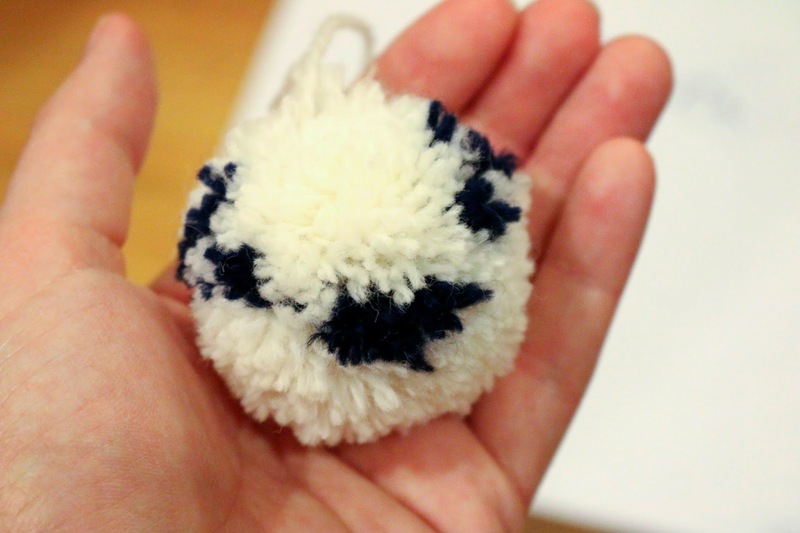 after some trimming the pompom is complete. So what do you think? Do you see a panda bear here? 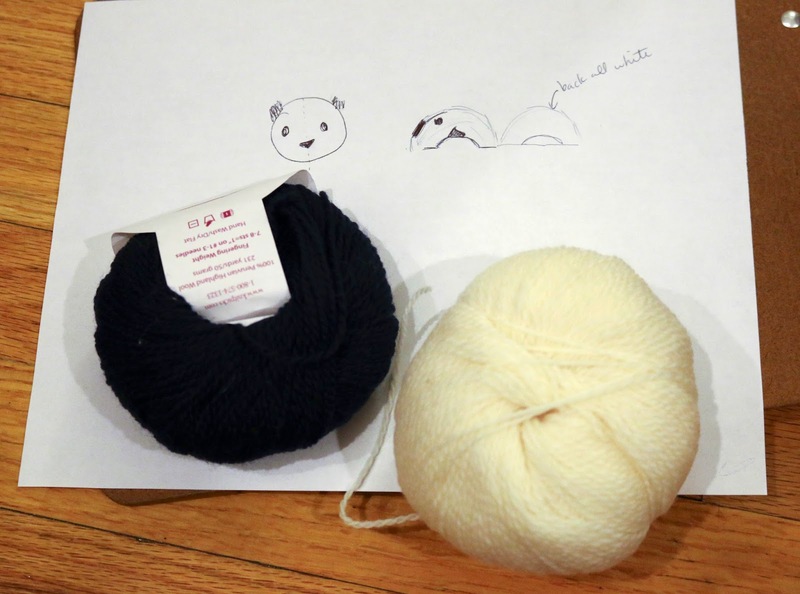 I attempted to make another panda, lowering the nose and adding more yarn in general. 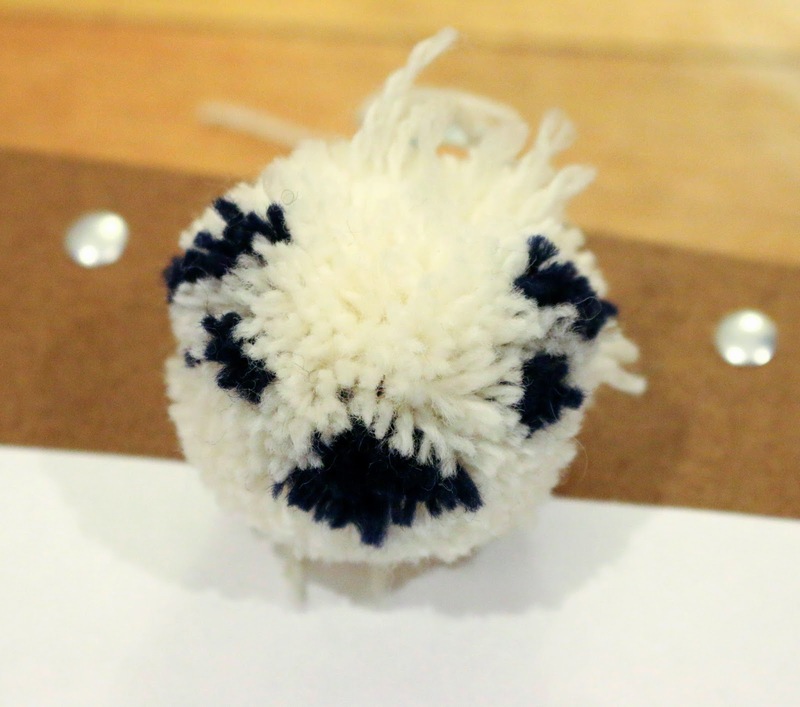 I'm not sure if I made the pompom denser. 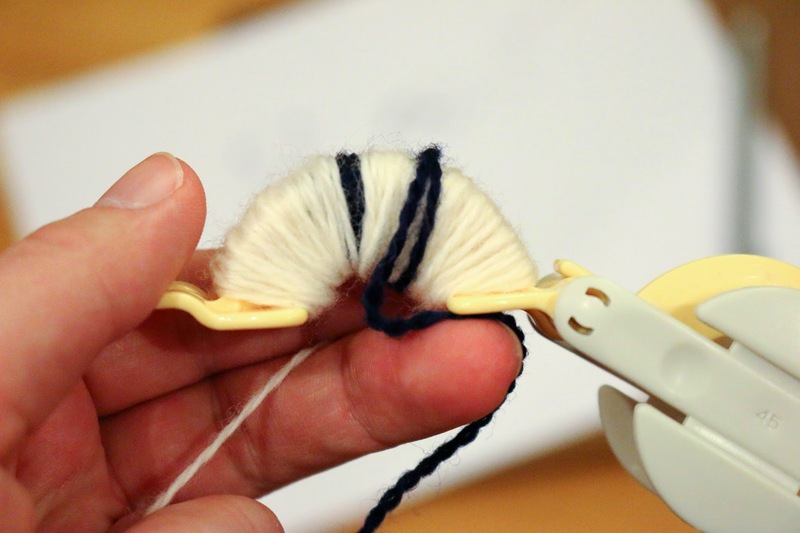 With this low level of detail maybe I should have used the smaller pompommaker that I have, or have used thicker yarn. The shapes I tried to make aren't super obvious, but you can sort of manipulate the ears and nose into the shape you want. 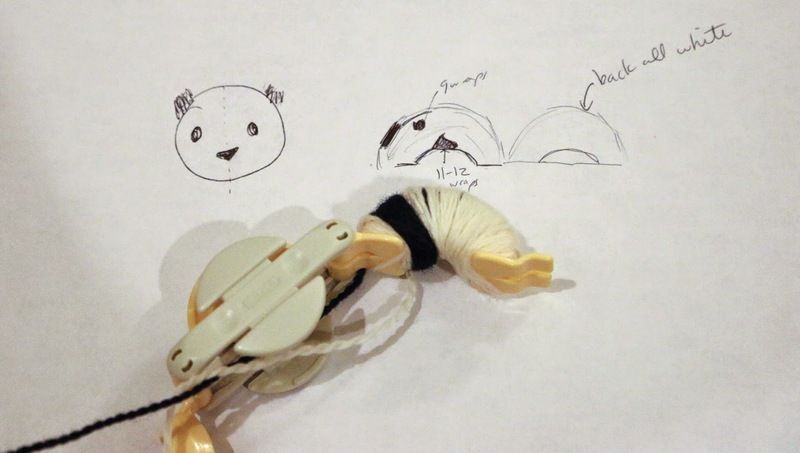 In the end, they're pretty cute but I'm not sure if I would see a panda if I weren't the creator. Let's see what Keith has to say on the matter. 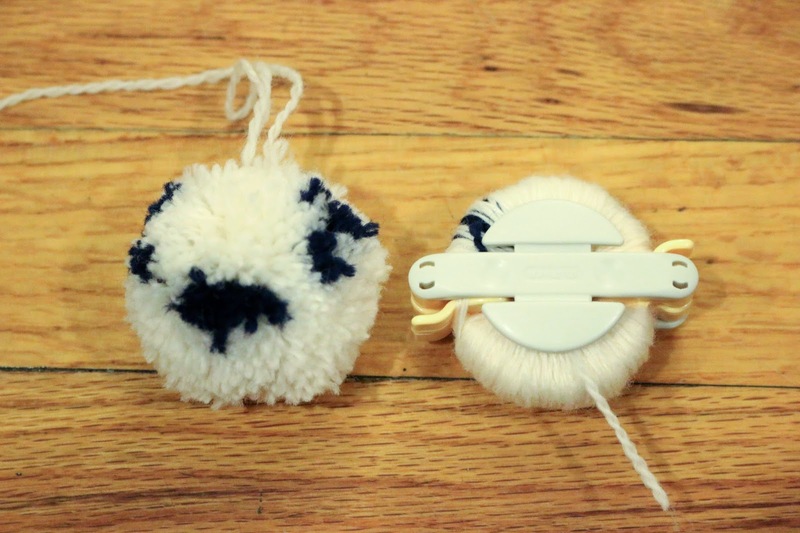 I posted the picture of the pompoms on the ChemKnits Facebook Page to see what my followers felt they could be. Enough people guessed Panda that I'm feeling much more confident. 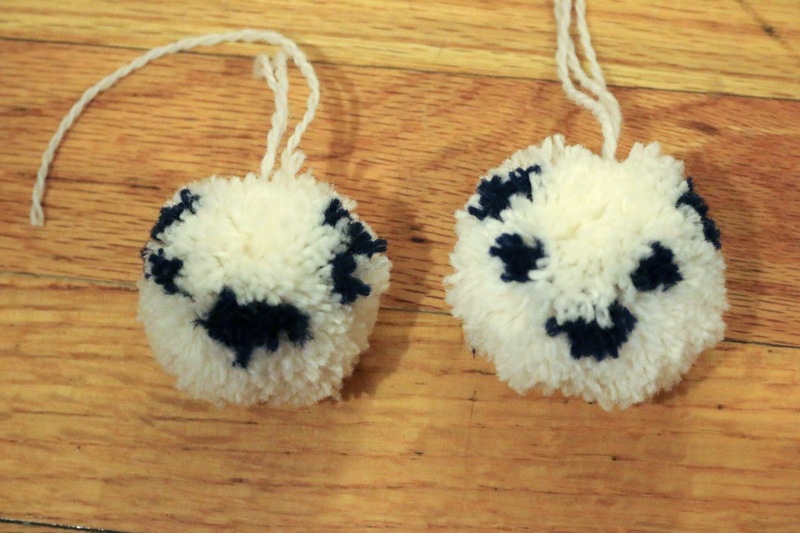 Now I will just have to think about what I could possibly use these pompoms for. I don't want to have them on the top of a hat because in addition to being upside down some of the details might get lost. 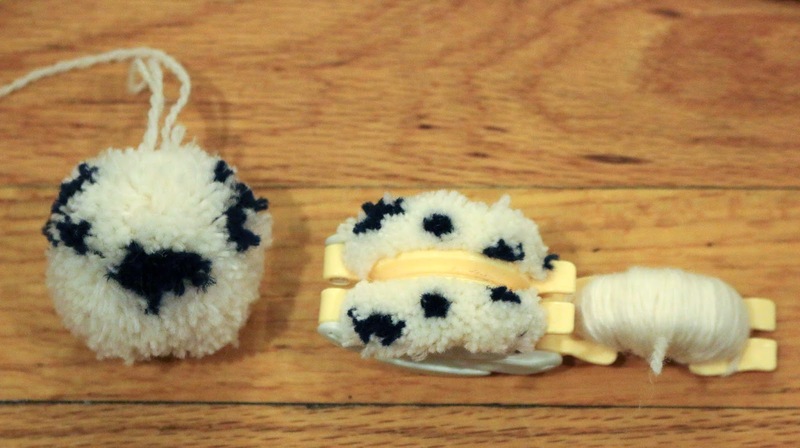 How would you use these fun pompoms? 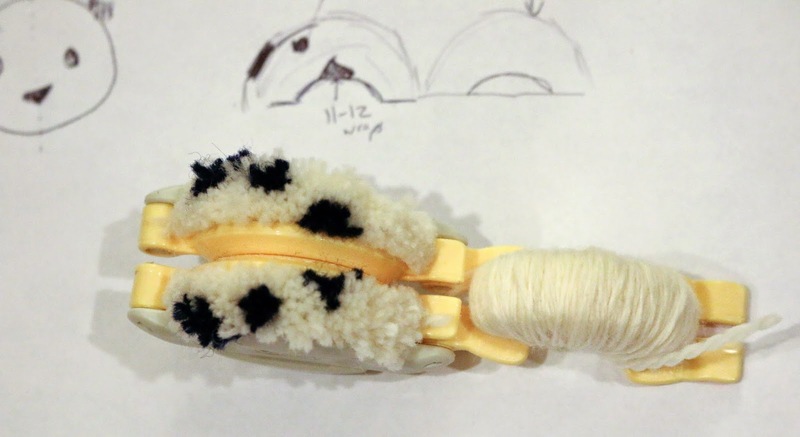 I think your pompoms would make cute zipper pulls, especially for a sweater or a zipper-bag that has a panda bear theme already. Oooo I love it! THanks for the suggestion.